ON AND OFF THE PRESS WE OFFER COMPLETE COVERAGE. 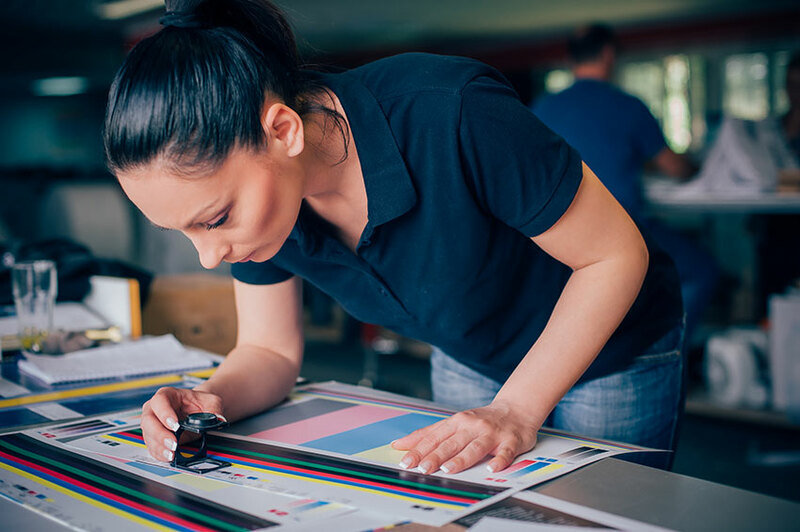 You may own a local print shop that businesses and individuals use to produce fliers, posters, calendars, business cards, postcards, and other collateral, or perhaps you have a specialty print shop for bar/bat mitzvah, graduation, and wedding invites. Perhaps you own a large operation with fulfillment services that creates and distributes digital on-demand pieces, direct mail pieces, and welcome kits for car manufacturers. Or, you produce admission packets, view books, and special events programs, and tickets for universities. Whatever the size of your firm and specialty, NorthStar has the experience, knowledge, and insurance products to cover your printing operation. Our stellar reputation in protecting the unique exposures of the printing and graphic communication industry is underscored by PINE’s (Printing Industries of New England) endorsement of our competitive specialty insurance programs. You face a number of risks in your day-to-day operations: From the potential for property damage to your warehouse, inventory, and expensive printing equipment in the event of a fire or other hazard; to loss of income should a covered loss such as a fire force you to close temporarily while repairs take place; damage to a customer’s property in your possession either at your premises or while in transit; vehicular accidents; workplace disputes; and employee injuries. In addition, your clients trust you to get the job done right and on time. As a result, you have professional liability exposures stemming from oversights, digital errors, and machine malfunctions that can lead to costly mistakes and land you in a legal dispute over the work you performed. For example, let’s say a customer ordered a series of posters to promote its store’s holiday sale, but you were late on delivery. This resulted in lost revenue for your customer, who is now suing you for financial damages. You need Printers’ Errors & Omissions Liability coverage to step in and help pay for your defense costs and any settlements. We take pride in our high-level industry expertise, attention to detail, and diligence in serving our clients’ needs every day. Our team of experts believes in a simple philosophy: that we should provide our clients the same dedicated level of attention and service that we would expect if our positions were reversed. We take our stewardship obligation to our clients very seriously, and work tirelessly to constantly exceed expectations. Find out how we make a difference in the way we approach your insurance needs. Give us a call at (800) 301-1944.